Reaction to Nancy Reagan's passing is coming from all over the political world. SAN DIEGO (CBS 8) - Reaction to Nancy Reagan's passing is coming from all over the political world. 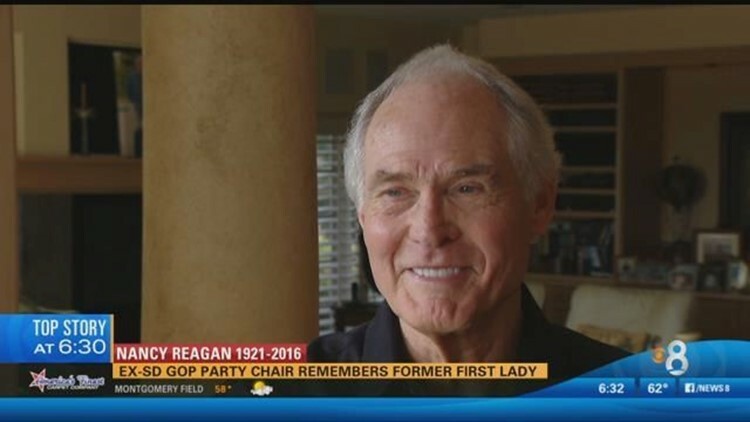 On Sunday, CBS News 8 spoke with a former chairman of the San Diego Republican Party who was a friend of the former first lady and president. CBS News 8's Dominic Garcia has the details in this video report.